Every day, Americans throw away enough trash to fill 63,000 garbage trucks. If you were to line these trucks up for an entire year, they could stretch halfway to the moon. 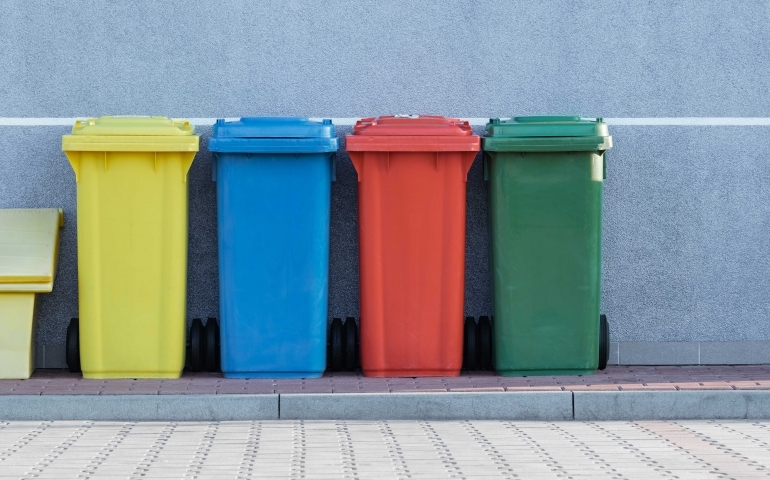 It is obvious that the United States has a serious problem on their hands concerning Municipal Solid Waste (MSW), but the question is, will SNU contribute to the problem or be part of the solution? Amidst juggling classes, work schedules, and figuring out social circles, students at Southern Nazarene University should have another weekly goal in mind: striving to be more environmentally conscious through following the suggestions to Refuse, Reduce, Reuse, Recycle, and Rot. Here are some ways that we, as a campus, can make a move to reduce our trash. In case you didn’t know, SNU has a large recycling bin on campus. Located behind Snowbarger, by the basketball court, this light blue receptacle has a large list of all the items that are best to throw in there. The ideal items are aluminum or tin can, plastic containers with recycling symbols 1-7 excluding 6, cardboard, newspapers, shredded paper, magazines, and any junk mail. Some things to not include are plastic bags (which you can return to most stores to recycle), styrofoam, food waste, and anything wet like soiled food wrappers. There are so many easy ways to reduce your waste. Take your own cup to coffee shops. Recycle when you can. Eat more fruit and veggies instead of chips and candy. However, considering a large portion of SNU students live on campus, it can be hard to balance college life and making sure you do your part to help the planet. Or is it really that hard? As Christians, we have a responsibility to protect the earth that God created. Whether you do that through refusing straws at restaurants, using a reusable water bottle instead of plastic ones, recycling, or composting, every little bit counts. As students here at Southern Nazarene University, we should each put in a little effort which will make a big difference.